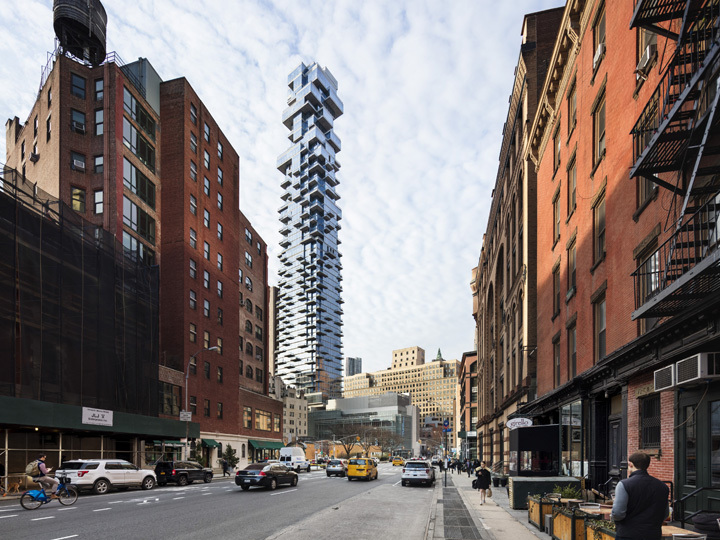 Designed by Herzog & de Meuron, 56 Leonard Street is an 831 foot tall, 57-storey luxury condominium tower located in Downtown Manhattan’s Tribeca district, a mostly low-rise and height-restricted historic district. The building houses 145 residences, each one with its own unique floor plan and private outdoor space. The project is conceived as a stack of individual houses, where each house is unique and identifiable within the overall stack. Facade detail showing the irregular pattern of projecting balconies. 56 Leonard Street, New York, United States. 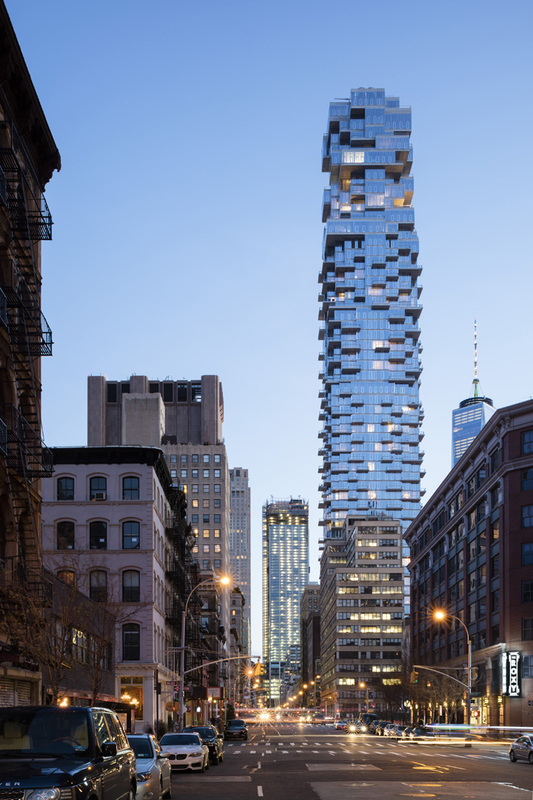 Architect: Herzog + de Meuron, 2017. The upper floors of the building partially covered in fog. 56 Leonard Street, New York, United States. Architect: Herzog + de Meuron, 2017. Detail showing the lower floors right above the main entrance on Leonard Street. 56 Leonard Street, New York, United States. 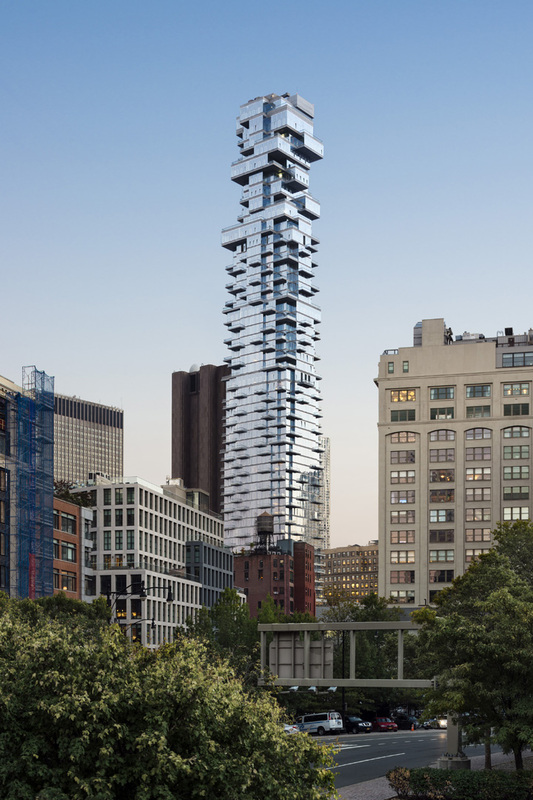 Architect: Herzog + de Meuron, 2017. The upper floors of the building seen from the North at dusk. 56 Leonard Street, New York, United States. 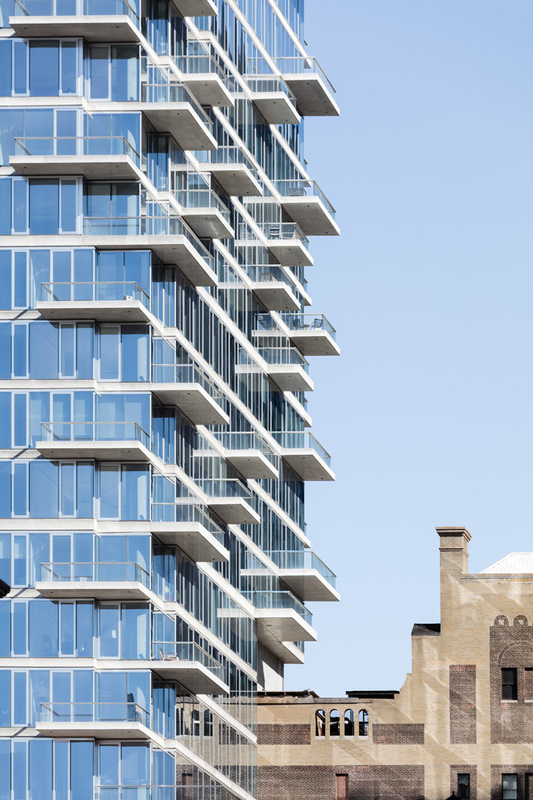 Architect: Herzog + de Meuron, 2017. A high-rise luxury tower seen from a narrow alley in Tribeca at dusk. 56 Leonard Street, New York, United States. Architect: Herzog + de Meuron, 2017. Contextual exterior view looking South on Church Street at dusk. 56 Leonard Street, New York, United States. 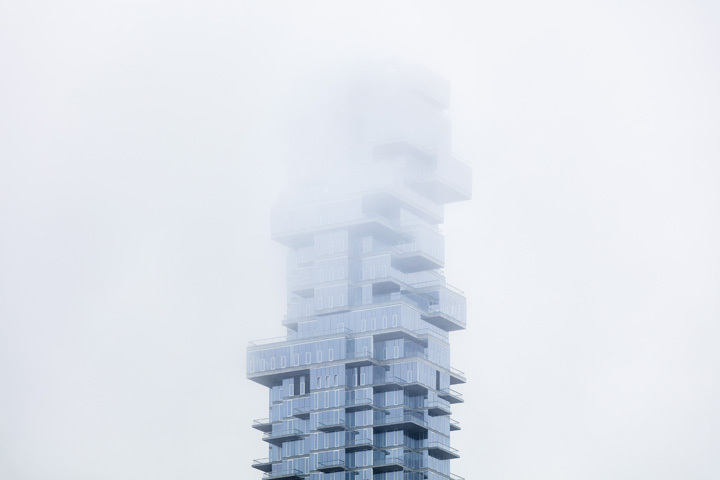 Architect: Herzog + de Meuron, 2017. Contextual exterior view from the North at dusk. 56 Leonard Street, New York, United States. Architect: Herzog + de Meuron, 2017. Contextual exterior view looking North on West Broadway at dusk. 56 Leonard Street, New York, United States. Architect: Herzog + de Meuron, 2017. Contextual exterior view from Varick Street. 56 Leonard Street, New York, United States. 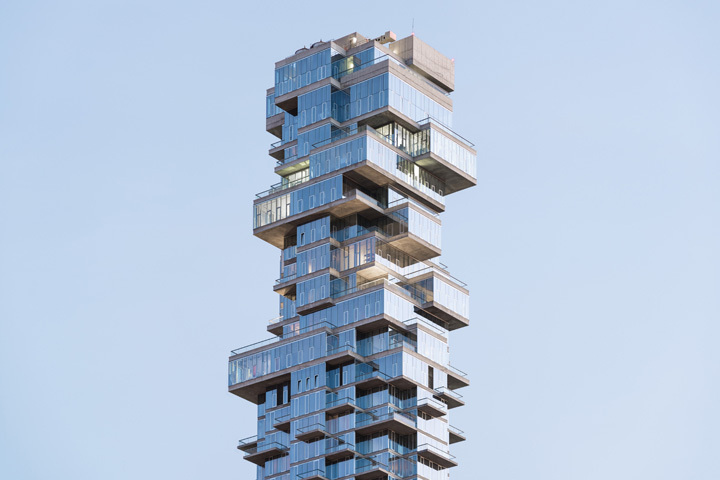 Architect: Herzog + de Meuron, 2017.